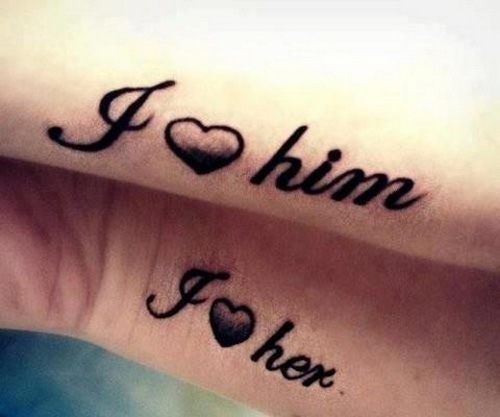 Many couples like to show the world what their partners mean to them. 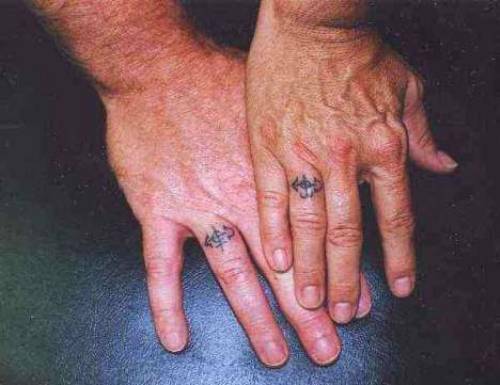 Tattoos are an excellent way of doing so.This beautiful form of body art is a proof that a relationship will stand through thick and thin, just as a tattoo remains forever. 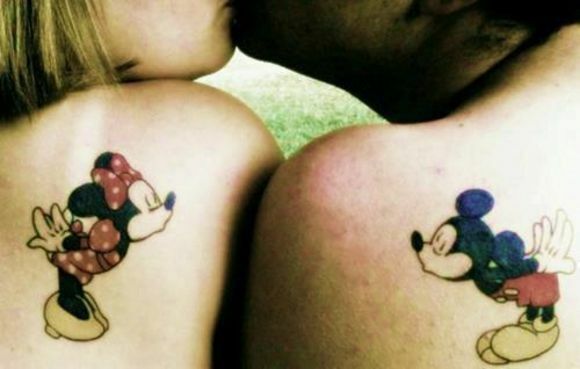 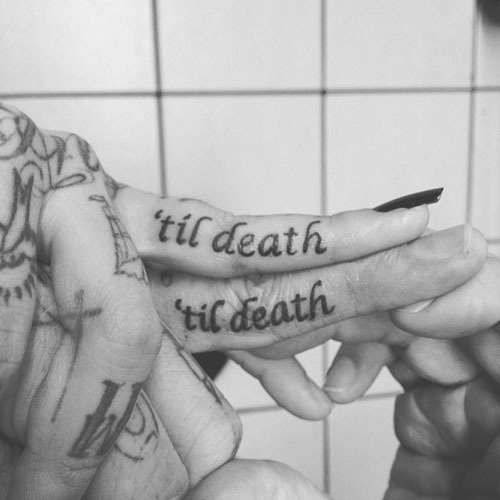 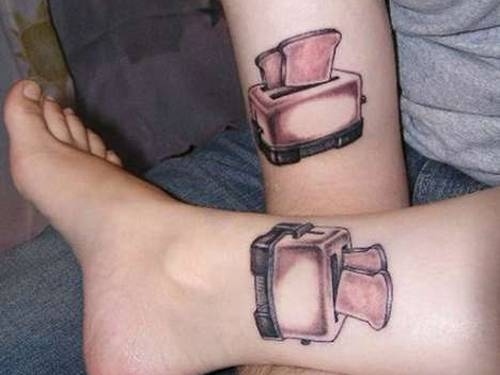 There are many amazing design for couple tattoos. 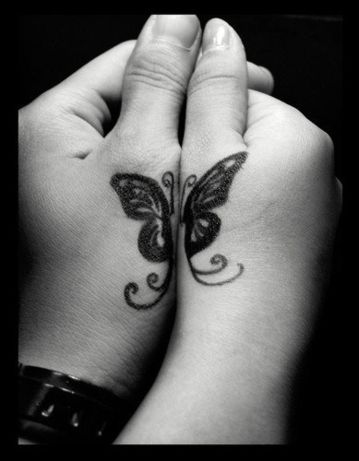 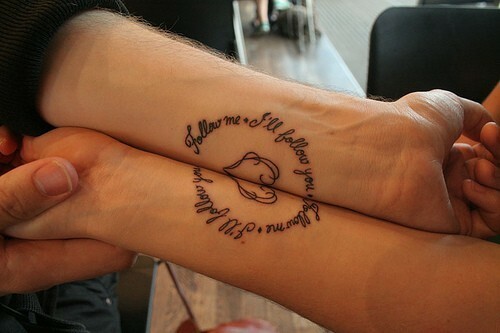 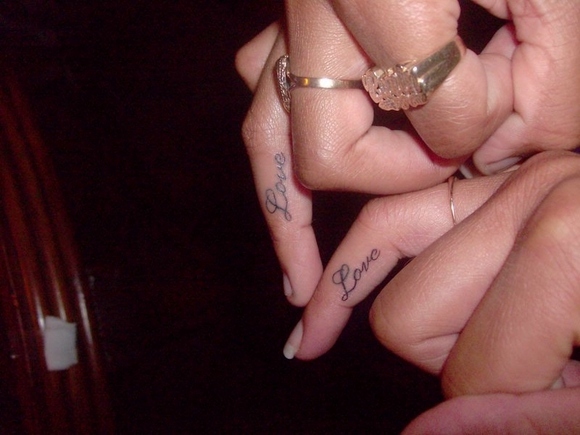 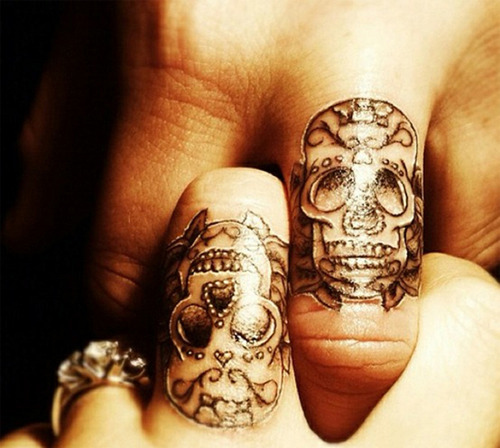 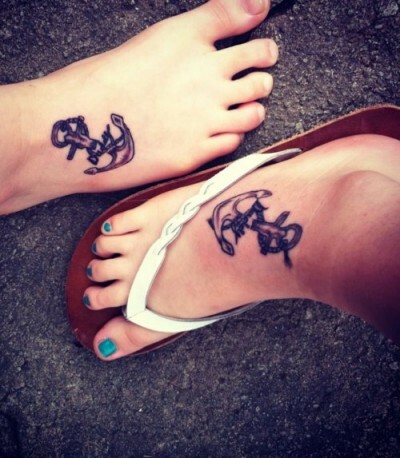 You and your partner can both get inked together, with your body arts complementing each other. 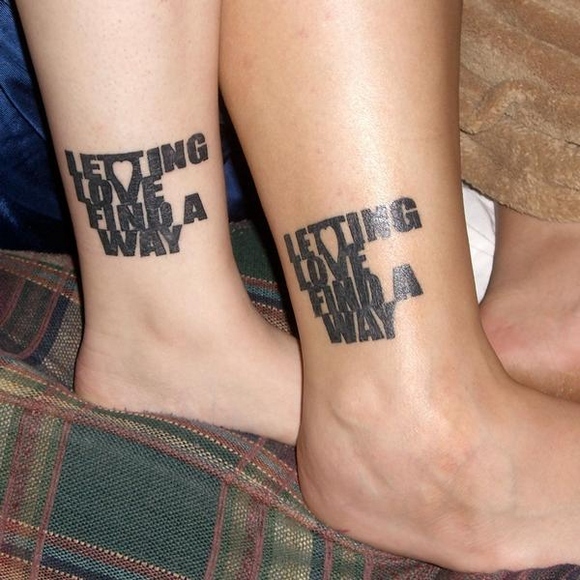 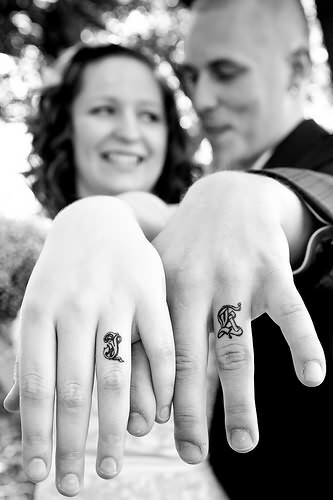 If you are planning to celebrate your anniversary in an extra stylish way, you can get a tattoo each saying “true love”. 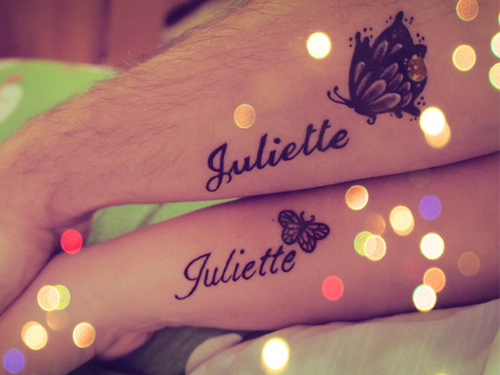 For the lady, the tattoo will include a male face silhouette surrounded by flowers. 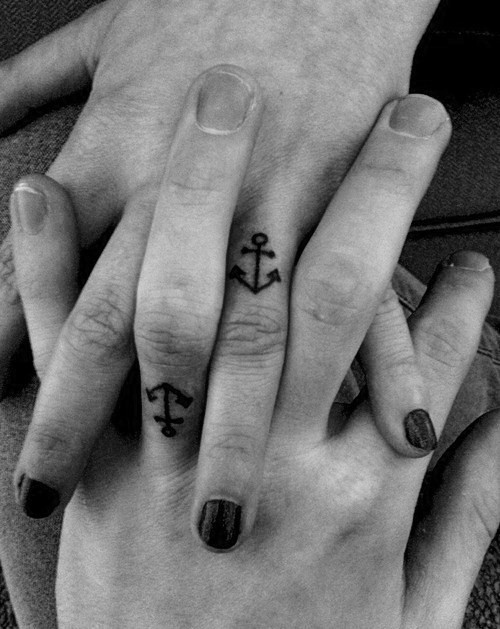 For the gentlemen, it will be a female silhouette surrounded by small branches, connoting his love and its magnitude for her. 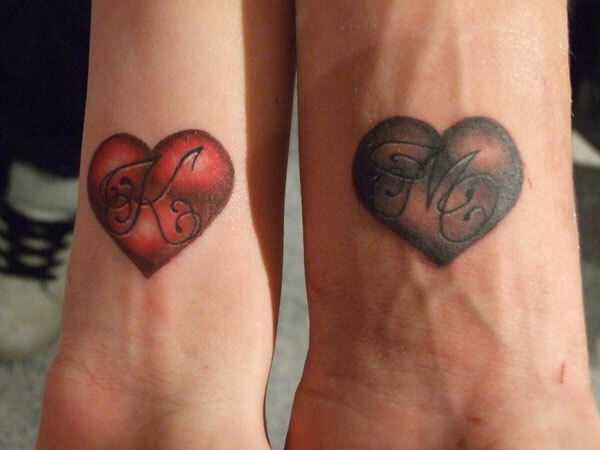 Another great design for couple tattoos is a Hello Kitty design. 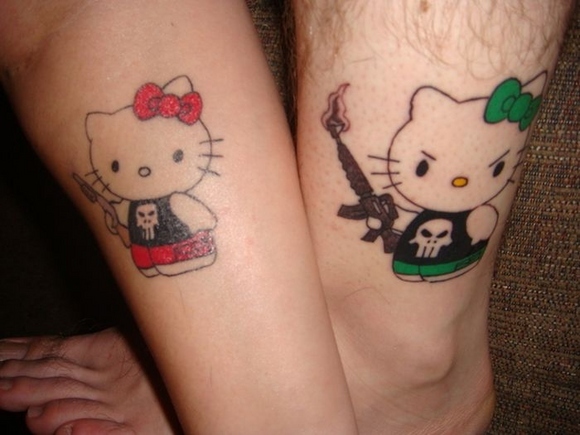 For her, it could be a pink clad Hello Kitty holding a gun; and for him, the Hello Kitty could be dressed in green, holding an even bigger gun! 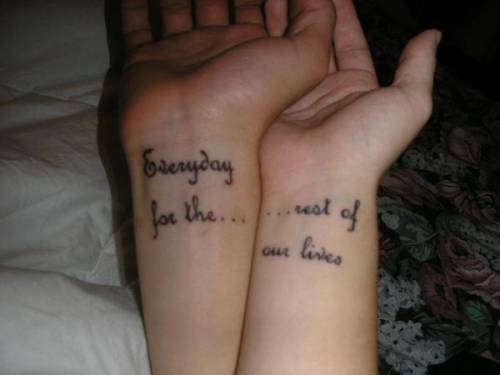 You can also have matching wordings on your arms. 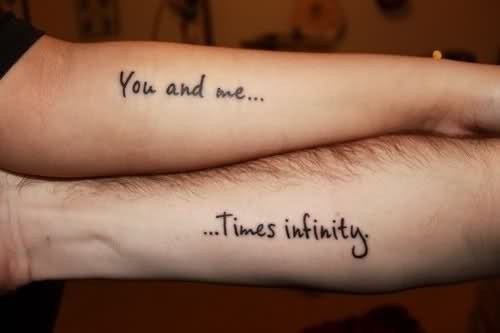 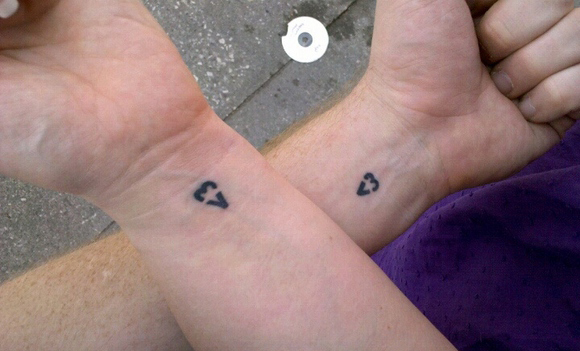 To show everyone what a perfect match you are, you and your partner can also get simple matching tattoos in black. 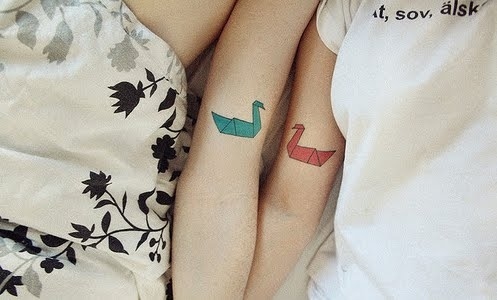 Colorful tattoos showing lock and wings on the back of the neck is one of the best couple tattoos. 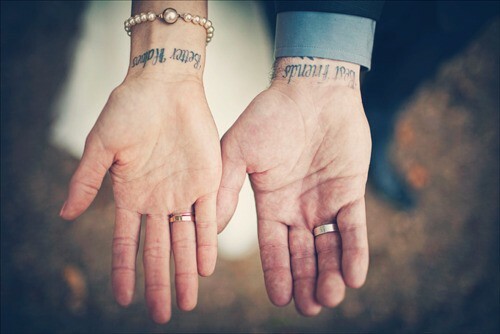 For those of you who would like to get inked more, full sleeves of tattoos are possible for you and your partner. 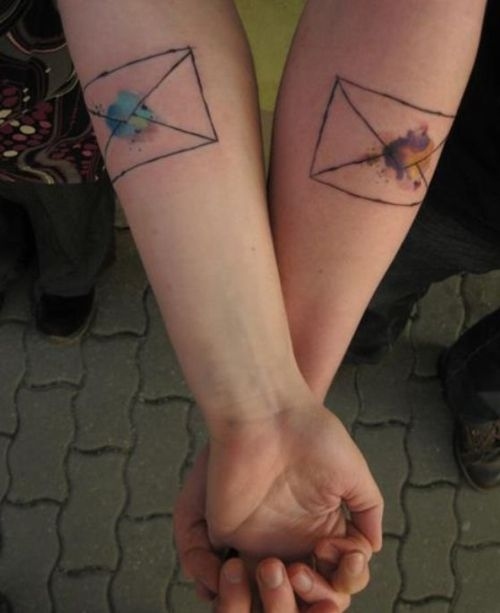 These can be rainbow colors and patterns. 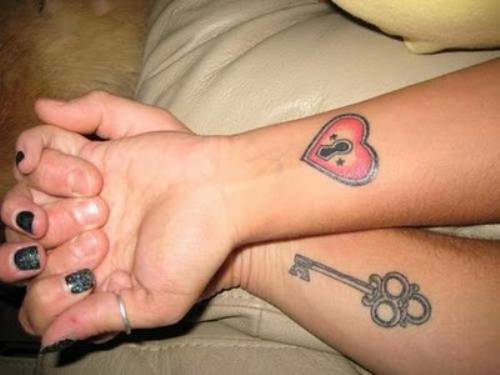 The most romantic of the couple tattoos is the old lock and key design. 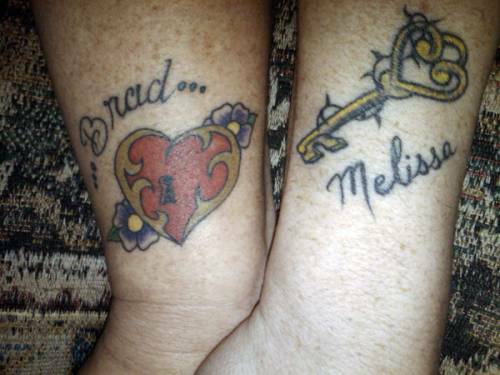 You can get a lock tattooed on your wrist and your partner can get the key, or it can be the other way round. 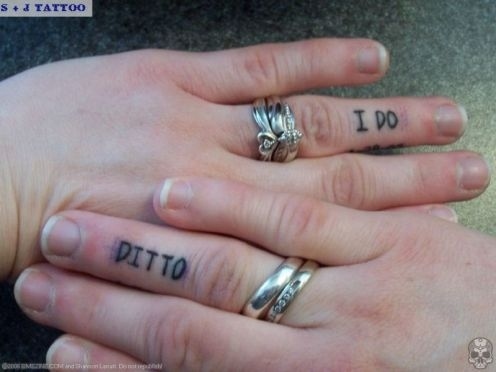 It’s all about showing your love for your partner. 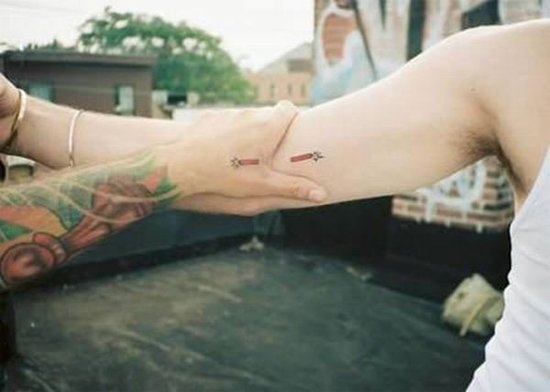 If you are lucky enough to find true love, you should cherish it and there is absolutely nothing wrong by announcing it through couple tattoos. 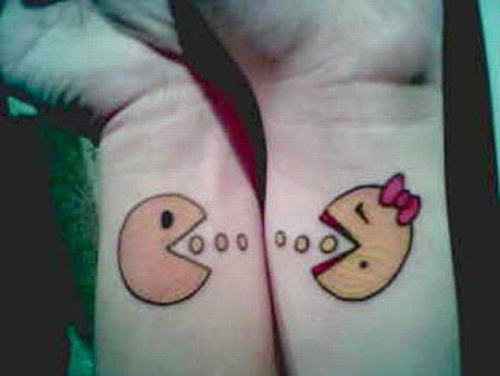 Just make sure you always hold onto your true love!